Actor Jung Il-Woo and actress Kim So-Eun are selected as ambassadors for the 2011 edition of the Jeonju International Film Festival. Actors Kim Sang-Kyung & Kim Gyu-Ri will host the opening ceremony at the Sori Arts Center on April 28th, 2011. 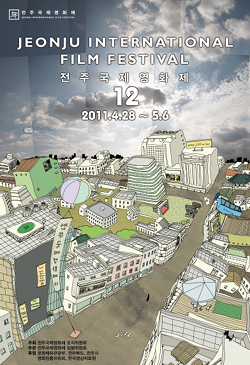 Actors Park Jae-Jeong & Kim Hye-Na will host the closing ceremony at the Sori Arts Center on May 6th, 2011.